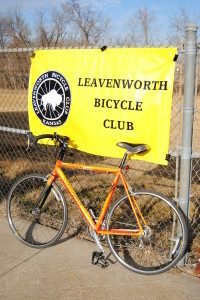 The Leavenworth Bicycle Club is focused on providing the Leadership and organization to help meet the cycling and fellowship wants and needs of our members. We organize and participate in triathlons, cross-state bicycle tours, bed and breakfast bicycle weekends, supported or self-contained bicycle camping tours, and member-led rides throughout the week and on weekends. Most of the year we feature rides every weekend. There are also week-night rides, picnics, cycle camping trips, rides along the KATY Trail in Missouri, the annual Buffalo Bill Century (with shorter distances available), and trips to other communities for events such as Octoginta in Lawrence, the “Rope Em’ Ride” in Hays, Bike Across Kansas, the Hotter ‘n Hell 100 in Wichita Falls, TX, and MS 150 Rides. Winter activities include road rides, trail riding on mountain bikes, and hiking and camping trips. The club’s regular meetings feature programs on bike repair, equipment demonstrations, speakers from the local area bicycle shops, and fitness and training orientations. There is also an annual Club Picnic and an annual Business Meeting. We have designed an attractive club logo and a distinctive club jersey which members can buy at cost. Our list of sponsors is also growing; local area bicycle shops and sporting goods stores offer members discounts on equipment, clothing, and biking accessories. We encourage members to suggest things that you and your families would like to do, so we can help you get the best possible experience and value from your membership. Work is happening on the Haven’s Park Mountain Bike Trails. Most of it has been provided out-of-pocket by the volunteers. The Leavenworth Bicycle Club is committed to seeing the trails project come to fruition. Your donations will help tremendously! 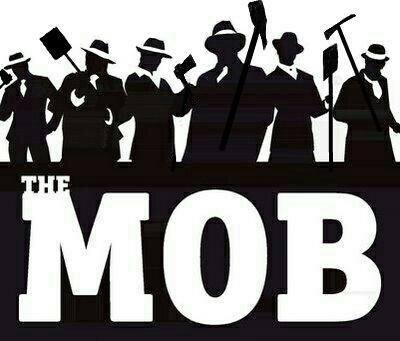 Help support us and the Trail Mob in this effort by clicking DONATE below. You can also come out and give us hand by volunteering. See our Facebook page for dates and times.